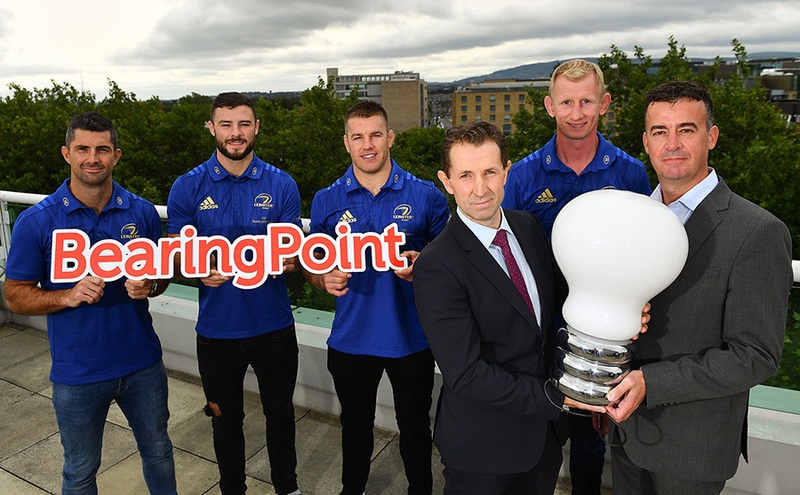 We are excited to announce that BearingPoint has signed a five-year deal to become Official Innovation Partners with Leinster Rugby. As part of the agreement, BearingPoint will provide digital transformation, technology implementation and consulting services across the Leinster Rugby organization, including the professional rugby commercial and operations departments, and both the men’s and women’s provincial and club games. Leinster Rugby are one of the leading teams and most recognisable brands in the professional rugby club game worldwide. They are the current holders of the European Champions Cup, having won the coveted trophy a joint record four times, and completed the double last season by also winning the PRO14 league. The agreement reflects both BearingPoint and Leinster Rugby’s ambitions to build on the success of both organisations in Europe. As a leader in digital transformation, BearingPoint will support Leinster Rugby in the enhancement of its supporter experience, both in Ireland and for its growing fan-base overseas. BearingPoint will also provide innovation and technology consulting services as part of the redevelopment of Leinster Rugby’s home stadium to deliver a world-class rugby match day experience for both players and supporters. “There are a number of projects like the redevelopment of the RDS Arena that we are actively engaged with and partners like BearingPoint are a key part of the future of Leinster and what that future looks like. Main picture: 28 August 2018; At the announcement of Leinster Rugby’s new innovation partnership with BearingPoint are Leinster Rugby players, from left, Rob Kearney, Robbie Henshaw and Seán O’Brien with Eric Conway, Partner and Country Leader of BearingPoint Ireland, and Andrew Montgomery, Partner at BearingPoint Ireland. Photo by Ramsey Cardy/Sportsfile.